Getting tired of winter coats and nose-numbing breezes already? Now may be the time to start thinking about planning an escape to sunny and warm Longboat Key, Florida. 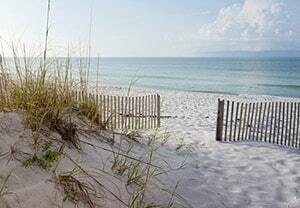 Longboat Key offers vacation rentals on an ideal beach and bayfront setting for the ultimate Florida vacation. Stretching between the gorgeous Gulf of Mexico and serene Sarasota Bay, this key attracts many visitors who come to enjoy the average year-round temperature of 73 degrees. A Longboat Key vacation is perfect for any time of the year. You can enjoy the white sand beaches almost every single day, which are made of 9% quartz sand, which stays cool and soft year round.You can relax on the beach during the day or you can try out some of the first class golf and tennis facilities that are available on the island. You won’t have to worry about facing the cold to go out on a wonderful dining experience. Longboat Key offers plenty of restaurants right out on the water with fresh seafood dishes and belly-warming chowders. If you want to get out on the water, Cannons Marina offers rental boats to take a day cruise or to go fishing on, or speedboats for those interested in skiing or wakeboarding. You could also check out Adventure Kayak Outfitters, and rent a kayak to explore the waters around the key on your own, or as part of a guided tour.While paddling through the water you may get to see some of the area’s wildlife, whether it is an outgoing pelican or maybe even a dolphin playing along side the kayak. Whether you are looking to visit Longboat Key and enjoy the weather for a weekend, a week, or even a month, there is the perfect Longboat Key vacation rental for you.They range from small to large, quaint to extravagant, and there is something out there that is the perfect fit for any visitor and any budget. Contact Jennette Properties today so we can find the perfect Longboat Key vacation rental for you!